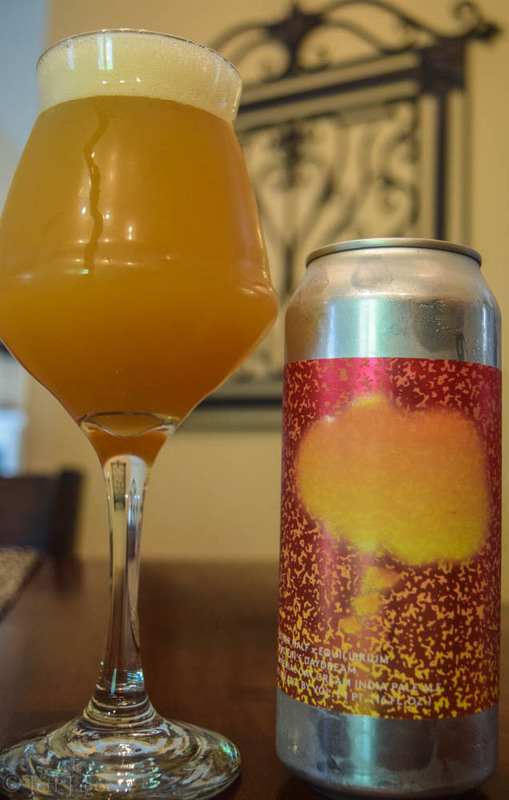 Einstein's Daydream is an 8.5% Imperial/Double IPA made by Other Half Brewing Company in collaboration with Equilibrium Brewery. 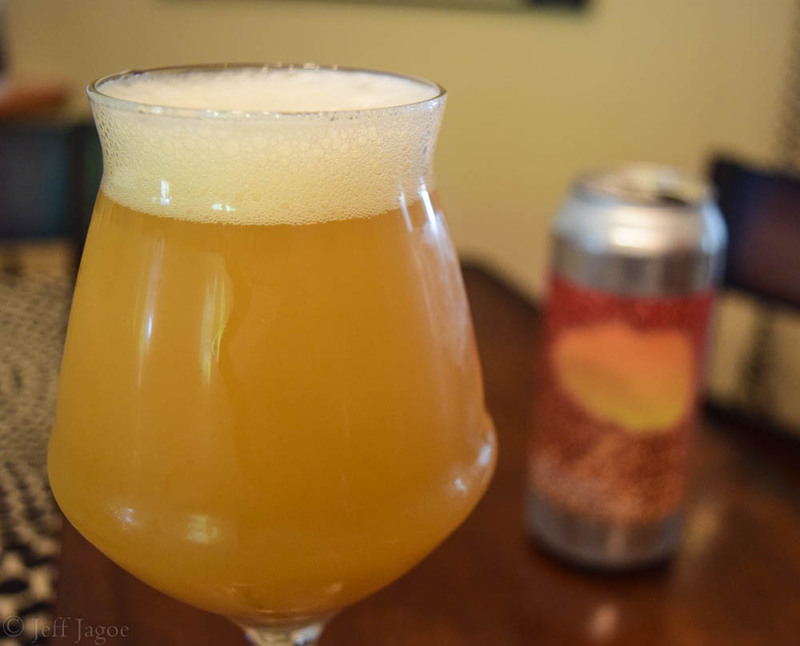 Other Half Brewing is a Brooklyn beer company that was founded in 2014 by three dudes that decided they wanted to "create beers that they wanted to drink from a company that they wanted to be a part of." Since then they have been busting out delicious beers and also collaborating with many different beer makers. Equilibrium was opened by two MIT graduates that follow scientific principles to produce delicious brews. After conducting many experiments, they ended up with recipes that create the Equilibrium beers we see today. Together the two New York based brew-makers collaborated to create Einstein's Daydream, which is an alteration of Equilibrium's classic 'MC^2'. Einstein's Daydream is served in a full pint can. The label is a glistening red and gold color. In the center, a cloud-bubble forms. The bubble comes from the words 'Other Half X Equilibrium' at the bottom left hand corner. I thought it was a very appealing can for a cloudy, dreamy IIPA. 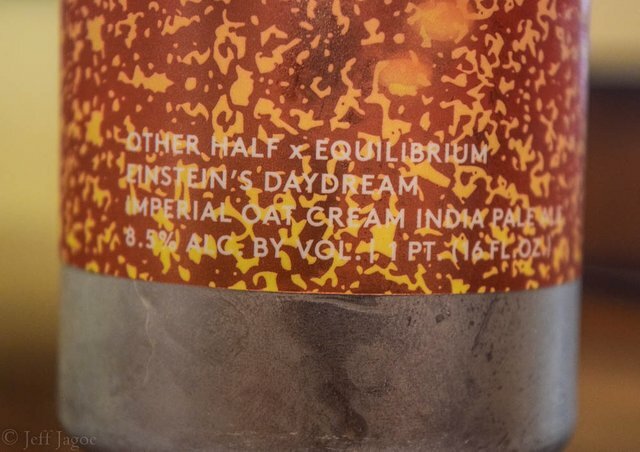 Einstein’s Daydream is an Imperial Oat Cream IPA based on Equilibrium's 'MC^2' beer. A big dose of oats and a hint of lactose are added to make it a hazy and creamy, delightful beer. As I poured it into a glass I noticed it's light yellow color with a nice frothy head. It was a gorgeous beer and it tasted just as good as it looked. The 8.5% alcohol content was well masked in this one. I'm exited to try more from Other Half Brewing Company and Equilibrium Brewery in the future! Looks like a great collaboration! this IPA looks pretty good, was it very hoppy? Usually the milk type IPAs are not.